People often ask me about my camera as I take so many pictures! I guess they think I am using something fancy! 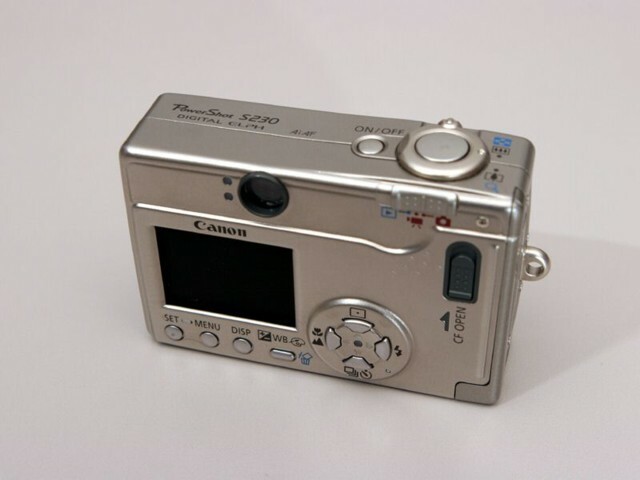 All it is, is a Cannon S230 PowerShot. 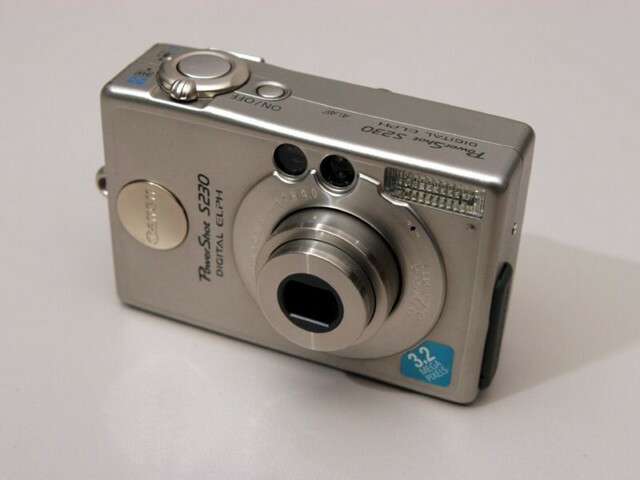 This is a great little digital camera! It has a 3.2 Mega pixel CCD which means that the pictures it can take are a maximum of 2048 x 1536 = 3,145,728 pixels to be precise. More like 3.1 Mega pixels I would say! I find that it works just great both indoors and outside although being so small with the flash so close to the lens, sometimes you get a bit of "Red Eye" in peoples eyes with close-ups. When I bought it back in 2002, it cost about $400 and now you can get one for about $200! 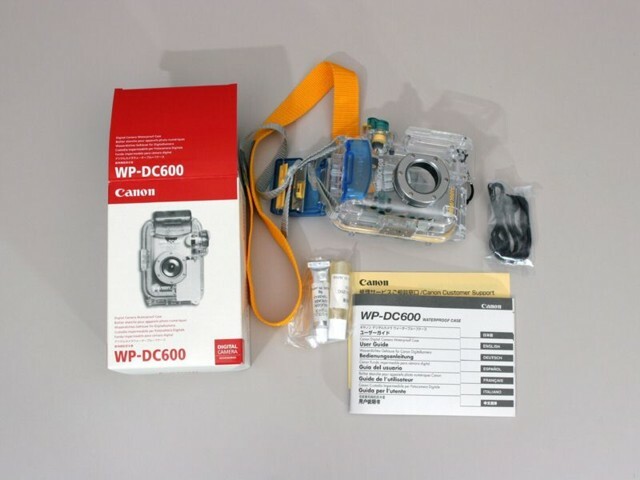 My advice is that if you are waiting to buy a digital camera when the price gets to X amount, don't wait! I wish that I had it years ago and would have gladly paid $600 for a 2 Mega pixel version a couple of years earlier if I'd have known how mush fun we would have with it! No matter how good your camera, you can't go back in time to take the pictures you missed by not having it then! 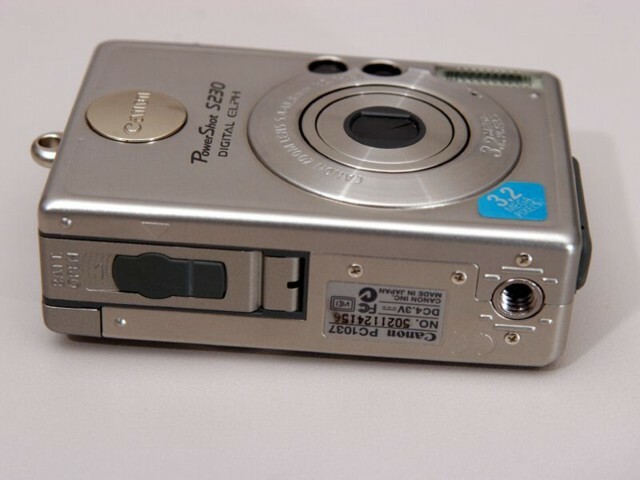 Here is a Review of the camera. One of the best and most useful features of the camera is a design component that was never intended to be a feature at all and not many people know about it! If you look at a lot of the pictures I take like this, have you wondered how I do it? Well, what I am doing is holding the camera with my left thumb and forefinger on the shutter button with my arm extended and the camera pointing towards us. Then I look into the round Cannon logo which in fact is a convex reflective silver button that acts like a mirror. 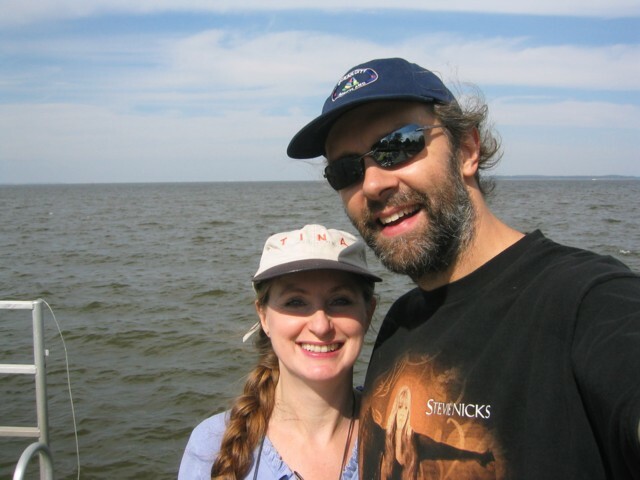 When I can see the face of the person standing next to me in the center of the button, I know that the picture is perfectly framed! This has been incredibly useful for getting loads of shots that would otherwise require someone else to take the picture! Clearly, Cannon don't know about this as many of the newer models don't have this great feature that costs nothing! See the silhouette of a face in the picture of the button?. 1. 99% of all the pictures we look at are viewed on our Sharp XV-Z9000U High Definition projector. We just sit there and go through 100's at a time! The thing is that this High Definition TV technology is the latest thing and it will be many years before the standard becomes common everywhere. Everyone who talks about High Definition TV is so amazed by it and claim it to be a revelation etc. etc. Well here are the facts: The 720p High Definition TV format like on our projector is 1280 x 720 = 921,600 pixels which is way less than 1 Mega pixel!! Not only that, the pictures from the camera are in a 4:3 aspect ratio, but the 720p projector has a 16:9 aspect ratio! So I end up projecting them in a size of 1024 x 720 = 737,280 pixels which is less than 3/4 of one Megs pixel! Even if HDTV has some massive upgrade within the next ten years, I can't imagine that it will go to more than double making about 2 Mega pixels. It has taken decades just to go from 575 lines to 720! At this time, DVD can't play or record HDTV and many cable and satellite transmission systems have to compress it because there is so much information. So I'm confident that our 3 Mega pixel pictures will be fine for many years to come. 2. I have an HP color printer in my office at home which I usually use for printing documents. It has a black cartridge and a three color cartridge. 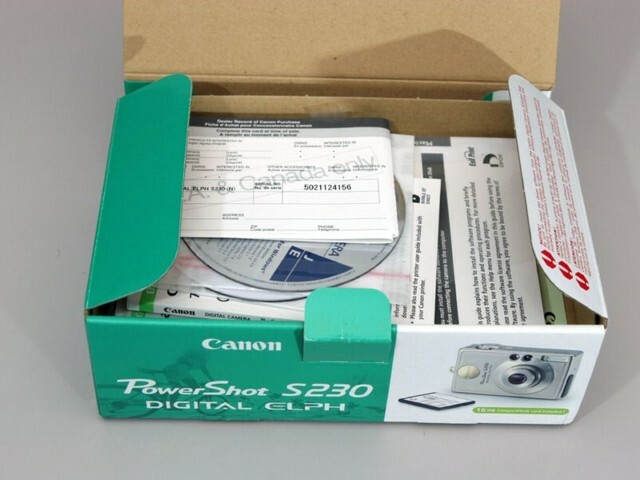 For photo printing, you can exchange the black cartridge for an extra cartridge that has two more colors and black. If I print one of our 3 Mega pixel pictures full size on a sheet of paper to make it approximately 8 x 10 inches, it looks totally stunning! People who see them just can't believe that I printed it myself from a picture taken by the little camera. They look at the picture, they look at the camera, they look at me, just dumbfounded! Also, I have to say that this is the only time I have needed an 8 x 10 as such. People obviously do have 8 x 10's done, bit I've always been happy with 6 x 4's for ordinary prints. So what I am saying is that I have never before felt the need for an 8 x 10 but the 3 Megs pixel performance of the S230 camera is perfectly sufficient for it if I ever need to. Obviously, if you are printing landscapes on an 4 foot wide printer (and yes, my neighbor John does! ), you may well need a lot more than 6 Mega pixels at some point, but I don't ever see me needing a printer quite like that! Just think of the cost of the ink! Wow!! 3. Depending on the content of the image, a 3 Mega picture can be anything from 500k to about 1.4M bytes, and the camera always starts out by suggesting that you can fit 68 pictures on a 64Meg Compact Flash card, so that's an average of 941k for each picture. Well if you are anything like me, you can end up with as many as 3000 pictures a year. That would be 3000 X 941k = 2.823Giga bytes which is more than 4 CD's worth or more than half a DVD. Now if you were to have 6 Megs pixel pictures, that would double the size! As far as I can see, this leads to some storage issues. Now in most cases, when we take a trip to England for example, I can hardly manage to fit all the pictures from one trip onto a CD. So again, I think the size and resolution of a 3 Mega pixel picture is fine. That's all I know about it! I just point & shoot & go! 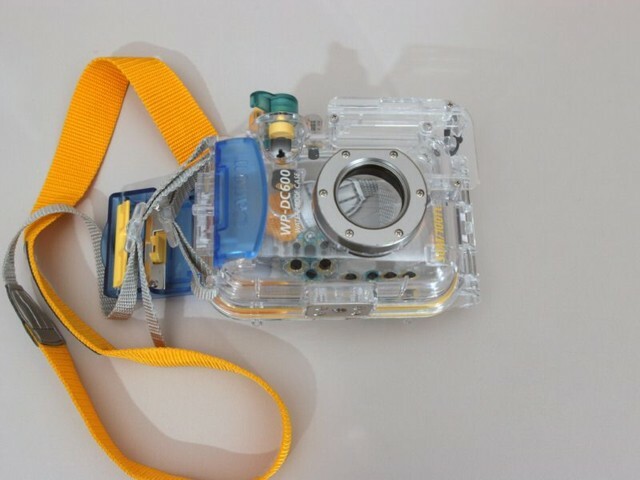 I was trying to workout how I could take some pictures of the camera and then I thought of looking on eBay to see if anyone was selling one and had some decent photos. 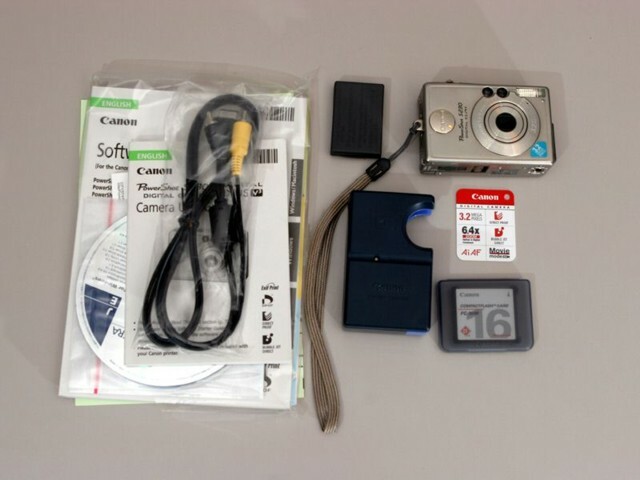 The following pictures are some that I got from an eBay user who was selling there S230 and upgrading to a Digital SLR. 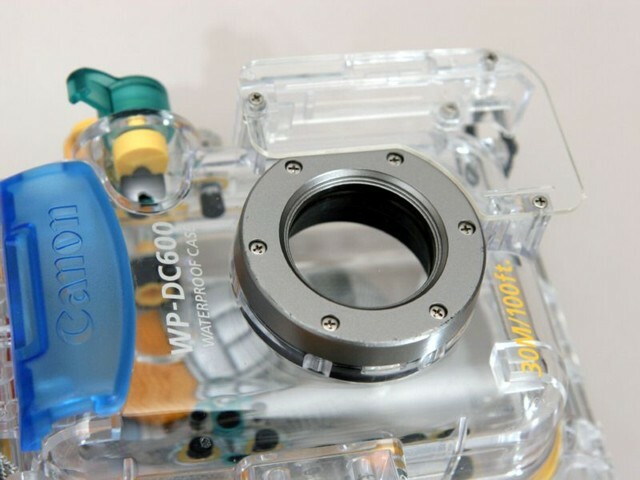 They sure took some great pictures of the complete setup with their new SLR and it looks like they had a waterproof housing as well! Hmm, I think I may try one of those! Good for making videos on the JetSki! Your browser does not support inline frames or is currently configured not to display inline frames so the hit counter cannot be displayed.